designed by safdie architects, ‘sky habitat’ is a recently completed residential complex located in bishan, singapore. 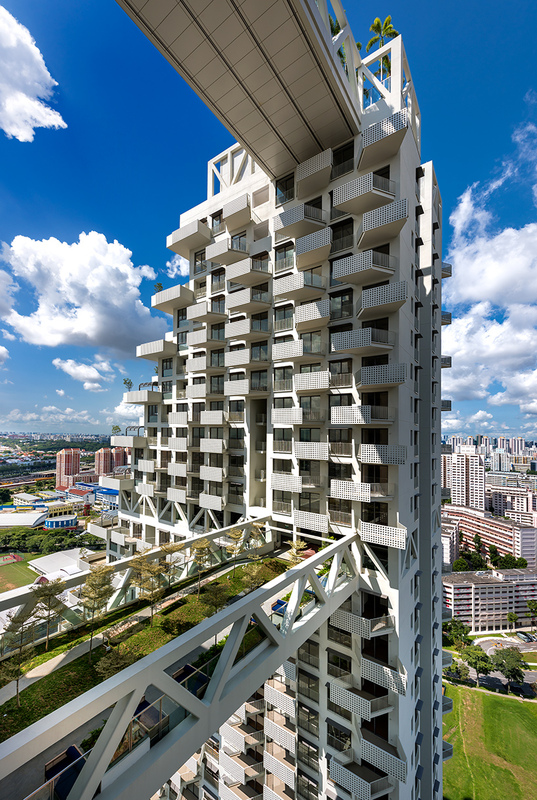 by breaking down the scale of a typical tower block, the design forms a three-dimensional matrix of homes with private terraces, balconies, and common gardens. 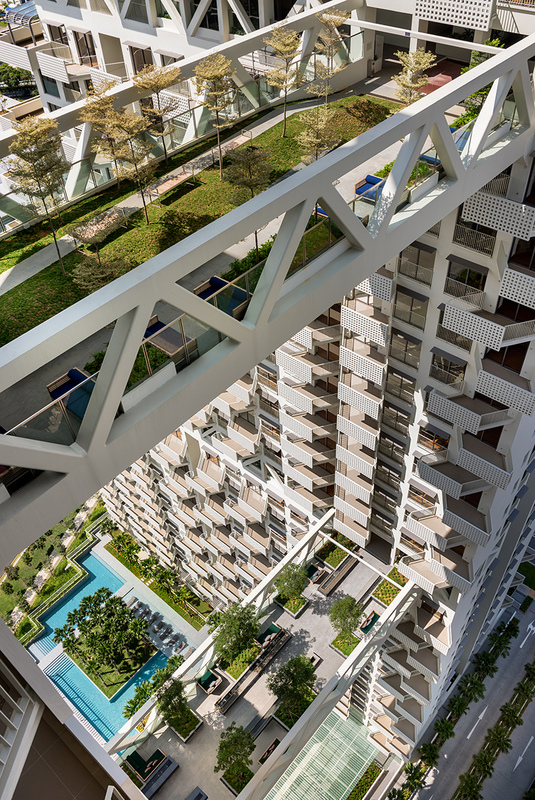 two 38-storey structures are connected by three bridges, or ‘sky gardens’, that bring a sense of nature into the air and provide residents with a variety of areas for common recreation and congregation. 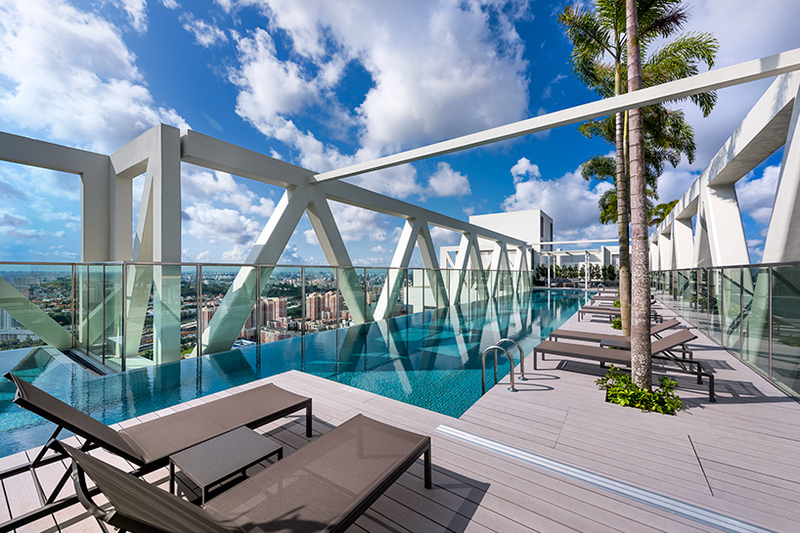 the lower two spans are landscaped circulation routes, while the upper bridge contains an elevated swimming pool, which presents views across the city’s rapidly developing skyline. 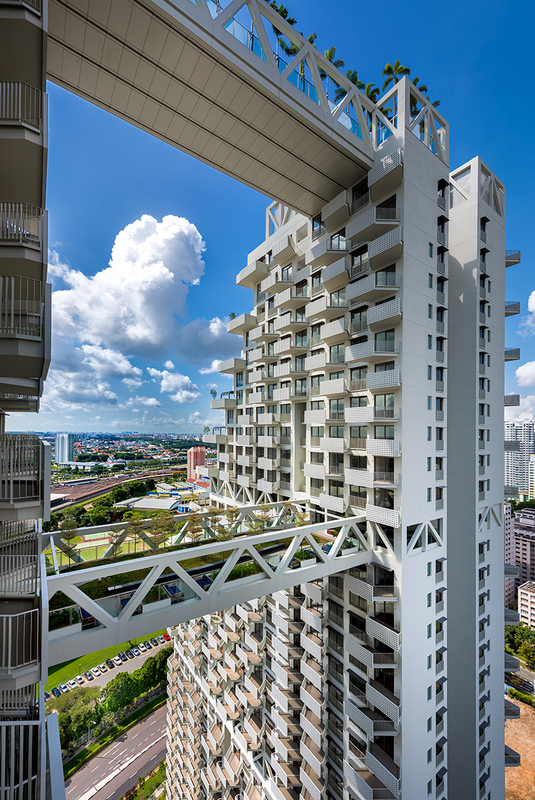 the sky bridges also allow breezes to flow through and daylight to penetrate deep into the structure. 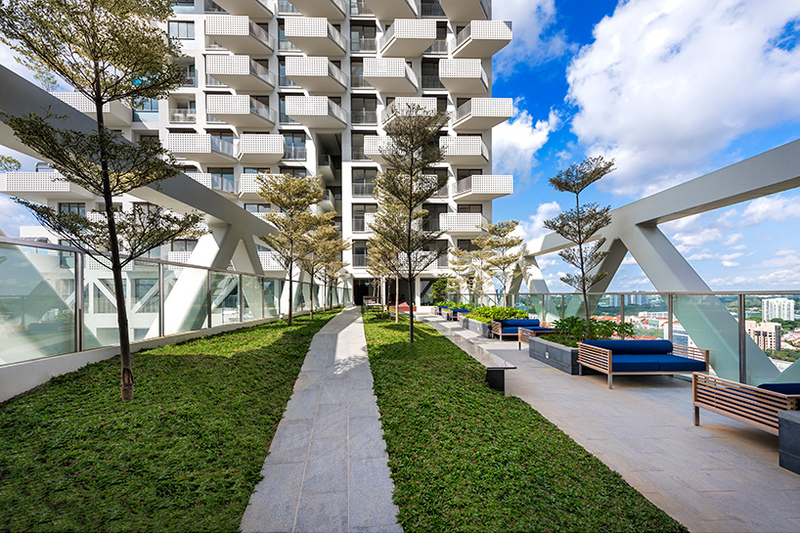 the stepped geometry allows every residence multiple orientations and a private outdoor space, resulting in a more intimate and delicate urban fabric. 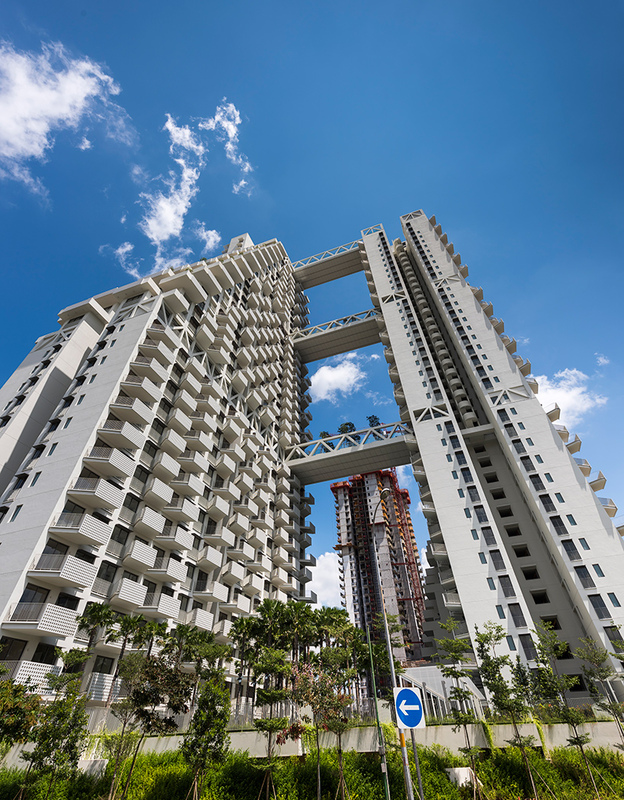 located twenty minutes north of singapore’s bustling center, the development is representative of the high-density, high-rise housing that remains in great demand across many asian cities. 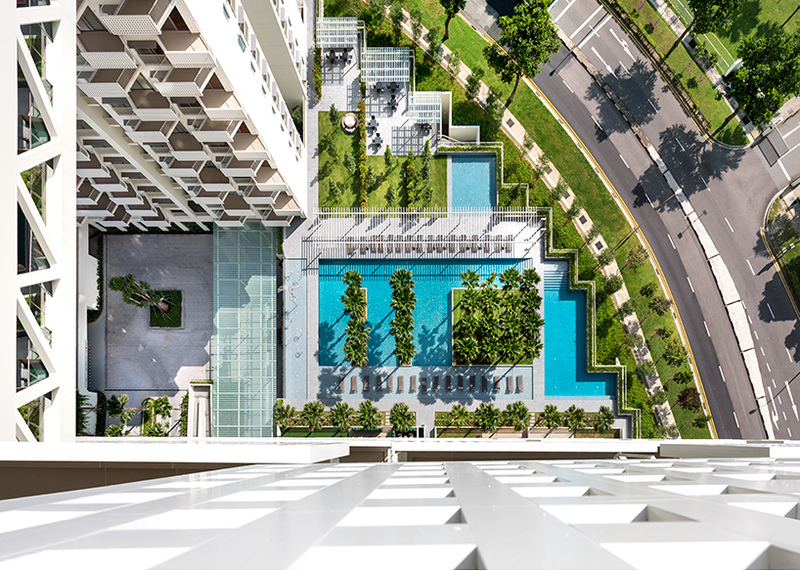 as with more orthodox examples of the typology, the project includes common amenities at ground level in the form of outdoor spaces and communal gardens. 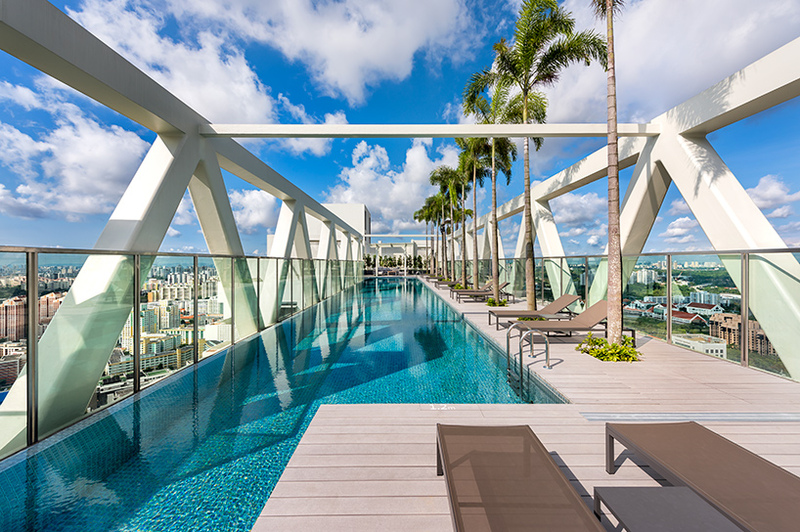 above a sunken parking podium, the site is developed into a series of lush gardens, outdoor event rooms, swimming pools, and walking paths. 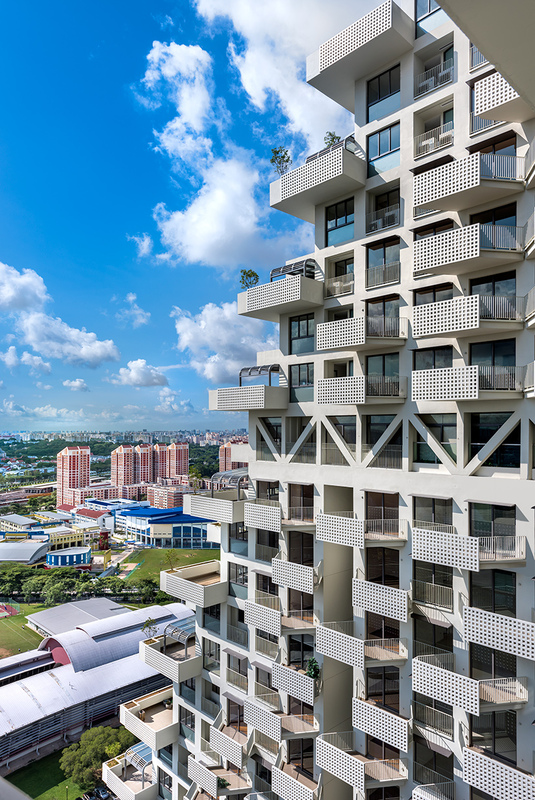 in order to maximize air movement in the region’s tropical climate, the structure is highly rationalized, affording cross-ventilation and multiple exposures to each unit. 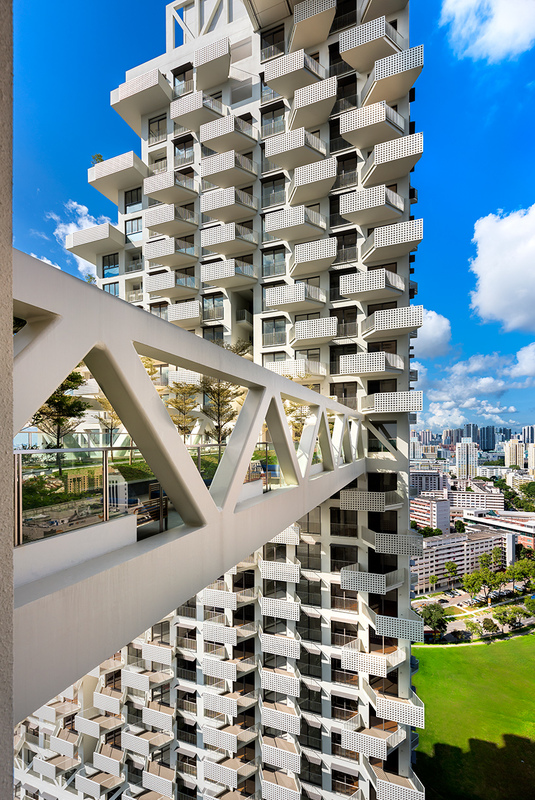 in addition, many apartments boast individual balconies, roof terraces and gardens. 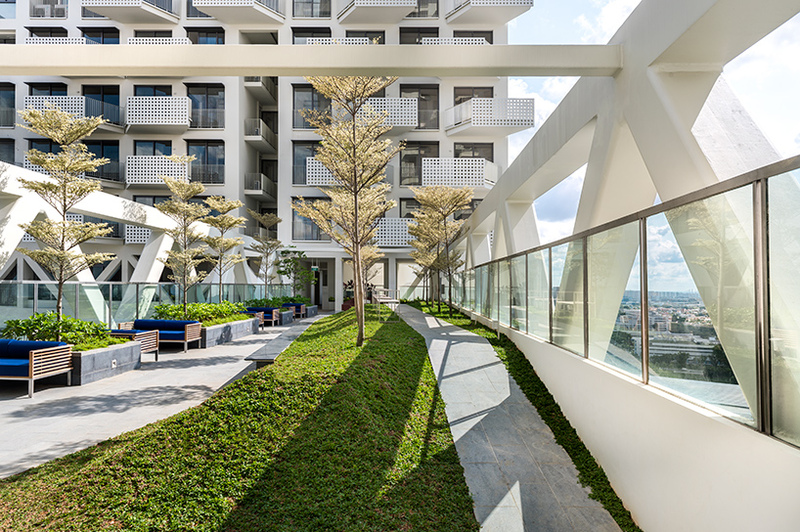 while mitigating a sense of density and concentration and maximizing contact with nature, the complex also results in a village-like clustering of residential units, echoing hillside developments and the integration of architecture and plant life into a singular experience. 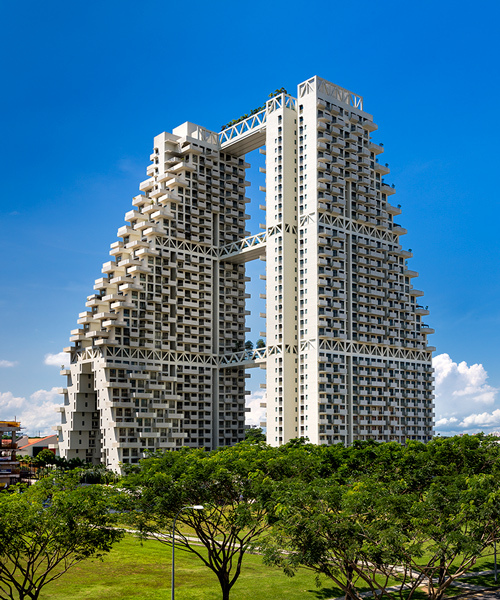 see designboom’s previous coverage of the project under construction here.